So many great rides, so little time. It is the time of the year that many of the shop rides start to change start times, so make sure to double check before you head out. On the plus side, this time of year they are later, so it may just mean you are early. There is a great ride for Habitat For Humanity.on Saturday the 17th. With four different routes, including a 10 mile recreational ride, 30 mile and 60 mile road rides, and a 30 mile mountain bike ride, this event provides an experience for everyone. Following your ride, join our construction volunteers and new homeowners to build and raise the walls for three new houses. What a great opportunity to go for a ride and help make our community better. Mike McKisson, of www.bicycletucson.com has launched a Kickstarter campaign to bring 360 immersive journalism. VR journalism is something that needs to be experienced to understand how powerful it is. Also will have a post-work event on Wednesday if you can’t make this one. Light the Night. Free front & rear light sets will be distributed as well as free helmets for youth under 18. Creepy Halloween Bike-In Movie (PG rating) at Bike-in and enjoy an outdoor movie at a creepy location. Bring your own popcorn, beverages and seating. Come join REI as we demonstrate how to use camp stoves to make coffee! We will have a tent set up at Brandi Fenton Memorial Park along the Loop trail and will be giving out FREE coffee provided by Presta Coffee Roasters!! There are going to be multiple rides. Starting with a family costume contest ride on the AZ trail and a night ride to a bar TBD. PIMA COUNTY BOND ELECTION. If the bond passes it will have a huge impact on the cycling community. The projects that will benefit the cyclist include the Velodrome, 2 BMX parks, The Loop (and other non-mechanized trails), repaving roads, open space for MTB trails, and new trailheads. The cost for the average home owner will be less than $18.00 a year. Have questions. Please call me, Damion, at 520-977-5664. I’ve spent hundreds of hours working on this and have facts. If you have a concern, I’m here to answer them or direct you to the sources that are available to help you make an informed decision. RIDE ON THE CAPITAL. January 19th 2016. For years we have been attempting to pass legislation in Arizona for the safety of all cyclist. The time has come for all riders to unite and pay our elected officials a visit. The vision is for all bikes: Road, Mountain Bikes, Commuters, recumbent, Trikes, Unicycles and anything else you can pedal or ride to attend. Bike shops and cycle supportive businesses from around the state will participate and have prizes for those who ride the farthest to get to the capital, those who bring the largest groups, and just random prizes for participating. Two Weeks Before El Tour! 11.11.15 Open to all. Call to the audience if you have something to say. Ride 104, 75,55 40 Mile Events or 11 mile, 5 mile and ¼ mile Fun Rides. 12.9.15 6:00pm Open meeting to the public all about bikes. 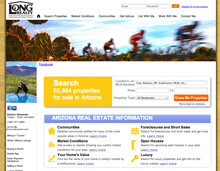 El Tour De Tucson Ride 104, 75,55 40 Mile Events or 11 mile, 5 mile and ¼ mile Fun Rides. Dawn to Dusk From sun-up until the big light in the sky goes out. Early voting started this week for the Pima County Bond Election. Speaking from the “Bike” prospective, there are many reasons to vote yes on all 7 bond propositions. I have gone through every item and broken down what is good for cycling. It has funding for roads, the loop, bmx tracks, trailheads, new trails, open space and more. If you want the detailed list please email Damion@damionalexander.com and say Bonds and Bikes in the subject. No matter how you feel or vote, remember, our Democracy only serves those that show up on election day. October 30th – November 1st The Godfather of Mountain Biking Gary Fisher will be in Tucson. Seeking BICYCLE-THEMED ART donations to benefit BICAS. Art will be displayed at the 20th Annual Art Auction in December. We will be brushing, doing tread work, and working on some water bars. Open to all. Call to the audience if you have something to say. This week I spent over 10 hours updating the ride list. I hope you like it. I tracked down all the races across the State of Arizona as well as events that looked fun for those who love bicycles. If you want to ensure you get this list, send an email with your name to damion@damionalexander.com and put Ride List in the subject. On a very sad note, this week, ANOTHER cyclist was killed while riding his bike in Tucson. Daniel Wilson (30) was hit by a car from behind on September 29th. He leaves behind 2 young daughters Libbie (6) and Clementine (4). On January 19th 2016, I’ve started to organize a ride on the Arizona Capital. We will be introducing legislation, AGAIN, for vulnerable users- those who legally use the road but are not in a motor vehicle. For years we have been trying to raise awareness for every ones safety with common sense bills like a No texting and driving ban. Arizona was the first state to introduce this bill, BUT one of only 3 states without it. It’s time we speak up with a uniform voice on behalf of our community and make sure that the State enacts these protections for all of us. If you want to get involved with this ride, email Damion@DamionAlexander.com and put Ride on the Capital in the subject. If you would like to make a donation to Daniel’s family this link is below. I DID NOT CONFIRM EVERY TIME, but did get in touch with most of the ride leaders and shops. You should always verify times before you head out. Ride leaves at 6:30 sharp. https://www.facebook.com/events/661029120707018/“A” Ride – Longer Ride, Moderate Pace – Average Speed is 18 mph and up. This ride will be approximately 50+ miles. “C” Ride – Beginner Ride – Slower Pace – no drop. This ride will head out with the “B” cyclists at a slower pace. The ride will be approximately 25-30 miles. Join us for bagels and conversation after the ride! On October 05 a group representing you from CASA, SAMBA, SDMB, and TORCA will be meeting with the Marana Parks and Recs and other Admin to discuss the access to the trails in the Tortilita mountains. Private property owners have requested that Bikes not use Cougar Canyon road and Como to access the trails. Last week, I was very upset about this and the ride list had some bitter commentary towards the cycling community that resulted in the road being closed. I do try to keep a level head as it is the best way to accomplish any task. I apologize if I upset anyone. When New Belgium puts on a ride you know it is going to be a good time. How will the Pima County Bonds Benefit cycling in the old Pueblo. Presented by me, Damion Alexander. November 3, 2015 Pima county residence will have an opportunity to vote on 7 bonds. These bonds will have a huge impact on our community. Come out to the Bicycle Ranch and find out specifically how they will improve our roads, build a Velodrome, BMX parks, and help fund the completion of the Urban Loop. PIMA COUNTY BOND ELECTION. If the bond passes it will have a huge impact on the cycling community. The projects that will benefit the cyclist include the Velodrome, 2 BMX parks, The Loop (and other non-mechanized trails), repaving roads, open space for MTB trails, and new trailheads. The cost for the average home owner will be less than 18.00 a year. Have questions. Please call me, Damion, at 977-5664. I’ve spent hundreds of hours working on this and have facts. If you have a concern, I’m here to answer them. RIDE ON THE CAPITAL. 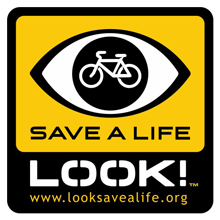 January 19th 2016.For years we have been attempting to pass legislation in Arizona for the safety of all cyclist. The time has come for all riders to unite and pay our elected officials a visit. The vision is for all bikes: Road, Mountain Bikes, Commuters, recumbent, Trikes, Unicycles and anything else you can pedal or ride to attend. Download your Free home search app. I’d like to nominate Jim Davis for Bike Commuter of the year. Jim works for Tucson Fire Dept. A few years back, the fire chief told all the firemen that they were going to need to put in some time of the work day into being physically fit. I think this was directed at more of the desk jockeys/admin and others. Jim took up cycling at that time. What started as a mandate from work has turned into a full blown bike obsession. Not only is Jim communing every day, but he is also racing his bike, and has become a known and welcomed face in that community. I think that is what makes his story so special(even if it is common). One discipline, like commuting, can lead to a bike obsessed life. Last year Jim logged over 12,000 miles. In addition to riding, Jim is one of the friendliest and outgoing people I’ve ever met while riding. Every day I come across Jim on the Bike he has a huge smile, endless encouragement for everyone he sees, and my day is simply better. I’d also like to mention that Jim is African American. This is important as minorities are way under represented in the cycling community and we need to recognize those that are riding. This will encourage others to get on their bikes and ride. I go to a few hundred bike rides and events every year. At all of these events, there is one person I see more than any other. This is Alisa Payne Neave. Many people might not notice her, but she is always doing something to help. She is often the first there and the one of the last to leave. She has been active in getting her own kids on bikes, riding with her husband, Arnold. She rides on the road, she rides on the MTB. She has helped with Look Save a Life, On the news for Silverbell Road about the cars driving in the bike lanes, Camped out for the youth ride on the AZ Trail. Have you heard the phrase “Foot in Pedal”? It means that when a ride says it starts at 6AM, the ride leaves at 6AM. If you are going to a group ride, you should expect that it is going to leave when it says. I’m saying this as we are moving into the peak season and I’m seeing riders show up at “6AM” for a 6AM ride and are upset when the group leaves them behind. The ride list is growing quickly as the temperature drops. The GABA training rides start this week. Many teams are starting to get base miles in for the race season. The snow birds, many who lead weekly rides, are returning as well. The Loop gets better every week. The grand opening of The Canada Del Oro section connecting with the Santa Cruz will be next month-construction should be finished any day. If you like to keep up on these developments I share more info on Facebook under “The Damion Alexander Team” and “The Loop”. This list is a major time commitment and it is my pleasure to put it together. All I ask in return for the list is that you remember I’m A REALTOR. If you have a relationship with another REALTOR, I love loyalty and respect those relationships. However, if not, or if you need a second opinion, please keep The Damion Alexander Team in mind. Many agents spend money advertising for new business, some door knock and others cold call. My business is based on referrals from past clients and friends. The less time I have to do traditional prospecting the more I can do for the clients and friends you refer my team AND for the cycling community. For example: This list. I look forward to seeing you on your bike(s). I DID NOT CONFIRM EVERY TIME, but did get in tounch wihn most, THIS WEEK FOR THE REOCCURING RIDES. I TRY AND GIVE CONTACT INFO SO YOU CAN CHECK ON THE RIDES. Ride 104, 75,55 40 Mile Events or 11 mile, 5 mile and ¼ mil Fun Rides. I DID NOT CONFIRM EVERY TIME THIS WEEK FOR THE REOCCURING RIDES. I TRY AND GIVE CONTACT INFO SO YOU CAN CHECK ON THE RIDES. This 3-day, 105 mile, loop tour, camping/lodging offers one of New Mexico’s finest cycling routes in America. YOUR BIKE MISSES YOU! You know who you are. It’s so easy to fall into the pattern. It starts with a flat tire, a big project at work, or after the last big ride you trained for and you have not been on the bicycle since. It’s time, this week, to recommit. Do it for the fitness, do it for the better looking body, do it for the mind, but most of all just do it because bikes are so fun to ride. Below are rides for every level and every speed. This week I’m recommending a few rides that will get you back in the saddle. Both are lead by Tu Nidito as part of their El Tour De Tucson “Ride for a Child” program. Both will have a free breakfast afterwards. The fast ride should be about 50 miles and average pace will be 18 MPH plus. The second is a no drop ride and everyone should free comfortable attending (even those who have been neglecting their trusty steads). These rides are open to everyone; that means YOU! There is one event that I’m encouraging everyone to attend this week. On Monday, June 15, 4:00 PM at the River Park Inn, 777 W. Cushing St. is the kick-off press conference for the YES on Pima County Bonds campaign. It’s important to show broad community support and your attendance there will be very helpful. Why am I posting something political on this page? Because if you ride a bike and live in Pima County, this Bond has so much that is going to impact and enhance your lifestyle, that you should support it. Just to name a few of the 99 programs that will be good for cycling: The Arizona Bicycle Center Velodrome, 2 BMX parks, Finishing “the Loop”, and repaving roads…. Did you miss registering for 24 hours I the Old Pueblo? The CONSIDER YOURSELF CHALLENGED! AN INSPIRATIONAL COMMUNITY EVENT FOR CAF has a solo or tandem entry up for grabs. Check out more details below in the events section. Do you have an event you would like to share? Let me know. THIS COMMUNITY RIDE LIST IS PROVIDED BY THE DAMION ALEXANDER TEAM WITH LONG REALTY. THINKING OF BUYING OR SELLING? DO YOU WANT TO RIDE IN THE 24 HOURS IN THE OLD PUEBLO, BUT MISSED OUT ON REGERSTATION? The Event for CAF has an auction item for you. Hopefully this list will help keep you motivated and in the saddle all year long. Personally, my goal is to do at least as much if not more for the cycling community in 2015 as I did in 2014. I have some fun plans for the ride list in 2015. It will be gradual as time permits and you can expect it to get better and better. Your comments are greatly appreciated. Happy Holidays. This coming week we have lots of rides in Winterhaven. I’m told the Tuesday Night Ride will have a Santa on Bike towing a Christmas Tree on a Bike Bob. Bring a Bike Ornament and decorate the tree. Sorry this is out so late tonight. Today we had a meeting for with the County Bond Election Committee for the proposed Velodrome. The good news is that pushed the vote back until January to give the Cycling community a chance to answer some questions on location and funding. We will be back at the next bond meeting to try again. This list is a major time commitment and it is my pleasure to put it together. All I ask in return for the list is that you remember I’m A REALTOR. If you have a relationship with another REALTOR, I love loyalty and respect those relationships. However, if not, or if you need a second opinion, Please keep me in mind. Many agents spend money advertising for new business, some door knock and others cold call. My business is based on referrals from past clients and friends. The less time I have to do traditional prospecting the more I can do for the clients and friends you refer my team AND for the cycling community. For example: This list! Tucson Recumbent Cyclists The weather forecast for Saturday, 12/13/14, says 58 degrees will be the HIGH, and there’s 75% chance of rain. That = 100% chance of NO RIDE! Hopefully, the following week will be better.